POLL: Who had the best rehearsal on May 5? Belgium gave us fierce disco, Ukraine had us on the verge of tears and Slovenia served breasts and prayers. And that was just three countries out of eight that took to the stage today in the first rehearsals of the first half of semi final two here at Eurovision 2016. But who out of today’s acts – Albania, Belgium, Bulgaria, Denmark, Georgia, Norway, Slovenia and Ukraine – had the best rehearsal? You can watch our reviews of today’s first rehearsals below. Then vote in our poll. You can vote for as many countries as you like, but you can only vote one time, so make it count. Be sure to click the box next to each act you want to support before pressing submit. No wonder that Bulgaria went down 2 positions on Oddschecker after the first rehearsal! Poli`s dress is not `modern`! This is something what a fashion student would do on his first school project at 2001! Never mind, it’s OK. I just think that it’s unfair to say that Lidia has the worst live vocals of the year, as you said before she has improved a lot. I want Belgium to qualify this time. As for Georgia? Why not. And Albania is not too strong for many. But I hope she returns in the future. I think it could be better if Poli had dancers in futuristic police uniform and they can add digital pixelated effect on the costume. I believe it was Zayn Malik’s performance that got the digital pixels all over him, but I couldn’t find anything on internet. @hasa I totally agree, I don’t understand why people complain about the dress! It’s so modern , different and futuristic! People aren’t you tired of super-mini hot skirts? Y’all know about the press voting. But based on the snippets contrary to popular opinion here, I think Poli stands out because of the dress. The dress is modern and she can pull it off very well. Georgia did better than expected. Well done them. Belgium tried hard. They might qualify. Albania’s Eneda performed well, but the song reminds me of the Teletubbies (sorry!). Norway’s Agnete sang well but there’s something missing (and I think it’s half a song). You don’t know what you’re talking about, Joris Cools… Laura can deliver that song! There was an article in Latvian media that 2 Baltic boys met for the BEATS commercial photoshoot. I thinh thas this done by BEATS itself. Poli disappointed me.That outfit screams Barbara Dex. Jamala was amazing.Like I said before, she is top 3. Bulgaria is good but Poli`s dress is horrible. Poli, please change this clothes. Bulgaria would reward Barbara Dex Award. All this songs have quality – thats why I love them. Its just another level for Eurovision and I hope it will be trend for next years. Wow! So happy for my country – Georgia. I was quite sure that we were definite non-qualifiers, but now i have a hope that actually we will qualify. Also very happy about so many positive reactions towards our entry. Yeah, it seems that we are not alone in the support of Georgia 😉 They will smash the house, they will bring something really brave and unusual on stage and i wish we will see it at the grand final because this contest needs more songs like Midnight Gold. My hope is so high right now! Before the rehearsals, I thought this was the harder semi-final to predict but I think now after the first rehearsals, semi-final 2 two seems easier to guess. Now that we have seen all the acts in semi final 2, here is my opinion on who will qualify. 10. Fight between Ireland/Denmark/Lithuania with probably Lithuania taking the final spot. NORWAY IS THE BEST!!! STOP HATING HER CAUSE SHE FACES THE PROBLEM OF BIPOLAR DISEASE. SHE IS THE BEST AND SHE MUST WIN!! GEORGIA! I felt in love with that song since the first time i heard it. It’ll be the biggest moment this year in Eurovision, so i demand to see this song in the final! I wish good luck to those guys, they deserve a lot of recognition! Loo Amir has mpre possibillities to do well than Frans.But Frans will do well in televote too I believe. Belgium is the good surprise for me. Jamala does it very good but the song is too sad for me.I prefer something more positive. Loo I also believe that Amir will have a simple performance just like Frans.Both of them have the best songs. Ukraine, Belgium, Norway and Bulgaria were the best! @esc 2016 i think by saying underrated you mean overrated! I think both are overrated! 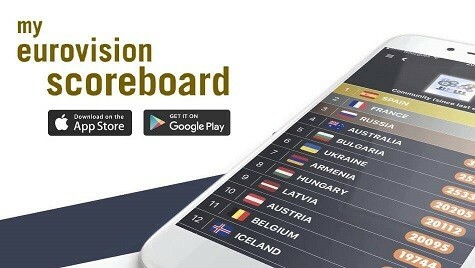 Russia should be in the top 3 but not win! It’s a very catchy eurovision song , with an excellent performance! I think is a guilty pleasure for many people! I really hope and I don’t think France will fall victim for the high-tech hype and play it simple and genuine instead. Focus on the song and on Amir! Come on Amir! Knock it out of the park tomorrow! Ukrane are awful. People are woting Ukraine, just for its Ukraine. These polls do not mean anything. Almost everyone vote for their one country, but in the final you can’t do thant. Oh.. guys you vote only regarding the song! HONESTLY the best REHEARSALS ( staging .. etc), not songs, were Georgia’s and Belgium’s. Big surprises , unexpected performances! I don’t understand why Jamala leads the poll! Her rehearsal wasn’t impressive , her dress was weird! At least it is just a medicore song … and if the lyrics wasn’t politic i’m sure it wouldn’t be SO overrated! Although , i have to admit that her voice is the best this year! Right now Im very happy because I am watching some betting odds and now… Ukraine is 3rd!! and the best…Amir reach Sergey!!!! now in somes odds they have the same!! They won’t even qualify, think before you speak! I voted for Norway, Belgium, Georgia and Ukraine because they had clearly the best rehearsals. Bulgaria needs to get rid of that awful dress, Poli looks like a super hero or something with that on! Albania and Denmark had too simple staging. Slovenia’s athlete was completely irrelevant to the performance and I didn’t really like the staging either. Oops, i was too quick, Thanks eugene.